Discussion in 'Carriage Builds' started by Rob Pulham, Feb 26, 2018. 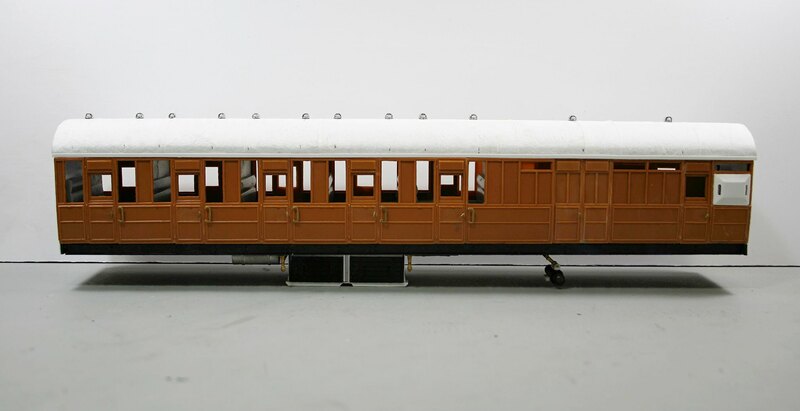 I've just measured two Kirk Gresley non corridor suburbans I've got on hold, one is an eight compartment third and the other is a five compartment brake and each body shell measures 14 1/4 inches over bulkheads... no buffing or draw gear fitted as yet. So Rob's pretty well spot on with his prediction. Hope that helps you Dundee Paul. Now if you buy some of Ian's kits the little segments now come in a whitish plastic as he has stopped getting the coloured plastic pellets due to cost and minimum one tonne order requirements. I have to keep slapping myself when I see these details. Tell myself to stay calm. I don't need to go this far in my initial efforts ..... if ever. It's just such a treat to see someone else with the patience and skill that can. 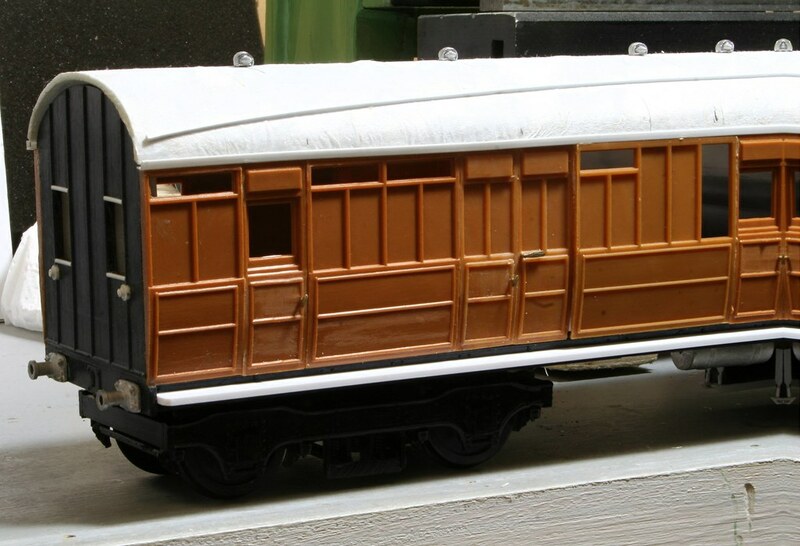 To be honest Toto the short answer is no you don't, you can always revisit a kit adding detail or upgrading some of the undercarriage component detailing with better lost wax castings later on as you see fit. 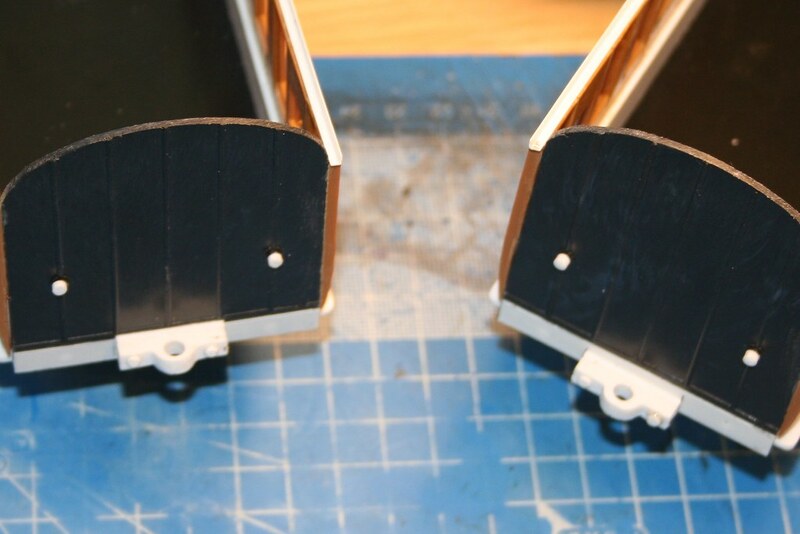 You can also make your own side panel jig to accurately align all the segments correctly... I'll post up the measurements on a dedicated thread if anyone is interested. I agree, it's all too easy to jump in at the deep end and add loads of things that are luxuries until you become confident in your abilities to complete the basics. 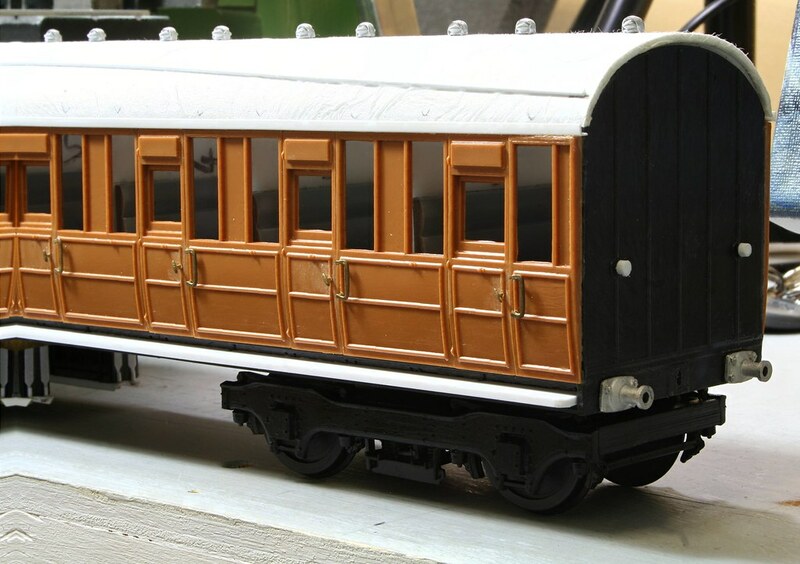 I had a loco and a couple of complex wagons on the bench for several years because I had tried to emulate what others had done before developing the skills to achieve it. Yes please on the measurements Paul at the minute I use a sheet of toughened glass with an aluminium strip glued along one edge. Ok Rob... I'm on it now. I'll do a new thread under the scratch build section so folk can find it if they want. 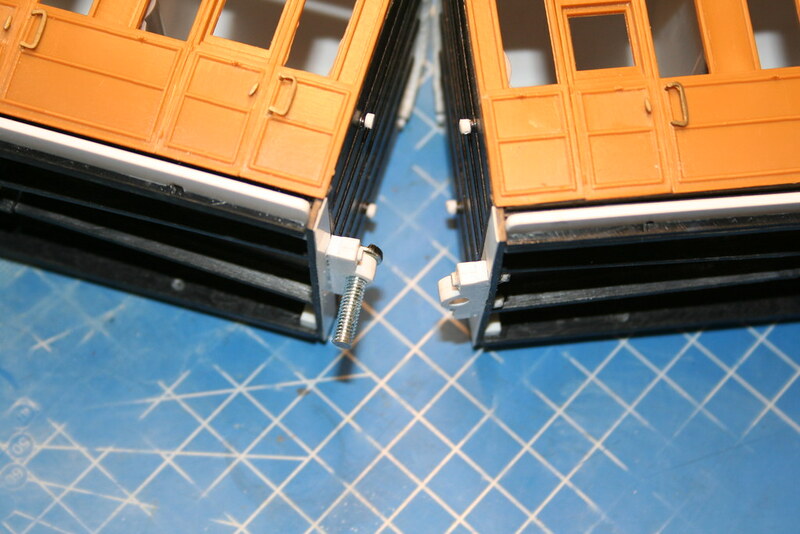 No photos yet but the twins now have roof vents and T door handles. They might have had grab handles too but I need to cut them off the sprue with my piercing saw and I didn't have it with me. More progress got the brake third fitted out with grab handles too this weekend - it was a really productive time to say that I spent much of Saturday delivering paintings and test running the Duchess. Steve Fay and York Paul like this. 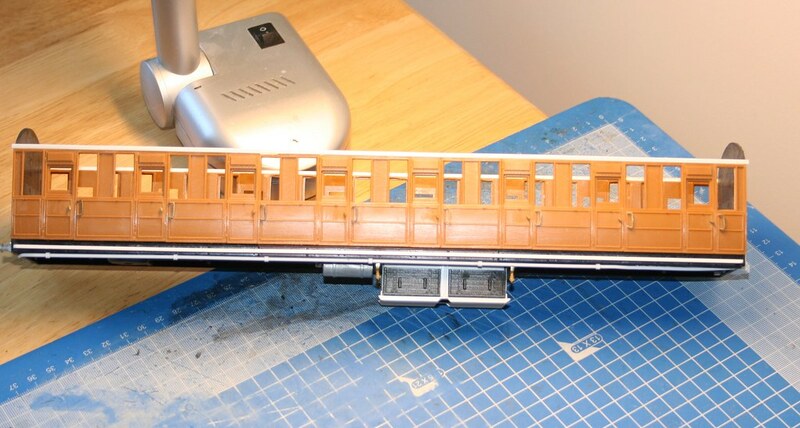 Having got the Beer wagons finished I don't seem to have much to show for recent modelling session until now. Rain strips fitted - very topical, step boards fitted both from Evergreen strip which comes in longer lengths than the equivalent Plastruct and is just long enough for the 51 footers. 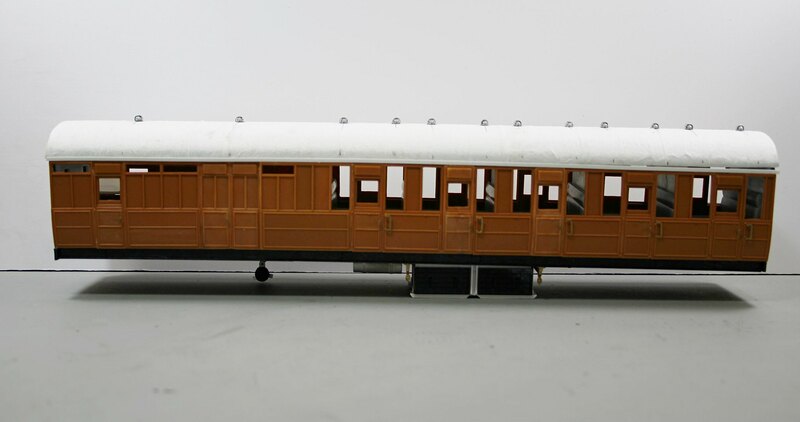 I am not sure what I will use for the 4 60' corridor coaches I have in the stash. Keith M, jakesdad13, York Paul and 1 other person like this. Rob may I ask who's buffers those are ? NMRS by any chance. 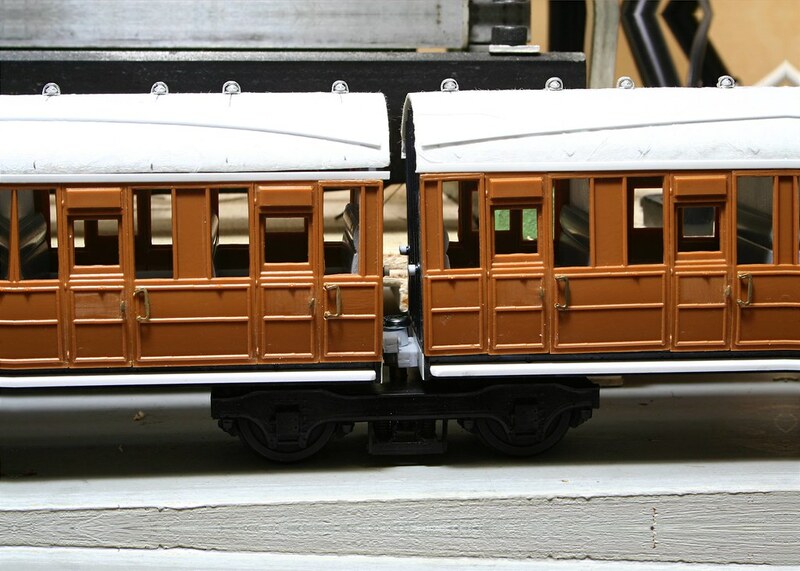 No they are Haywood Railway, bought at a show though because I have never managed to get anything from him mail order. jakesdad13 and York Paul like this. Keith M and York Paul like this. Despite spending most of Sunday house hunting I did manage to get the vacuum pipes fitted and I found the missing turnbuckle castings to which was a bonus. Last night saw the seats and roofs primed too.